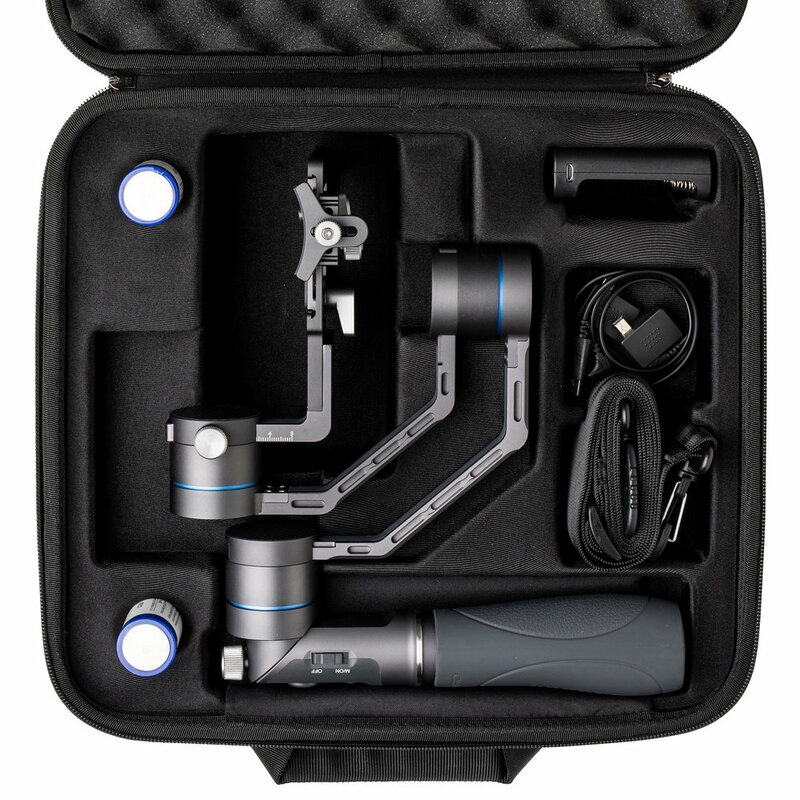 The Benro RedDog R1 is a travel friendly, 3-axis gimbal stabilizer with a unique swivel handle designed for different filming angles. 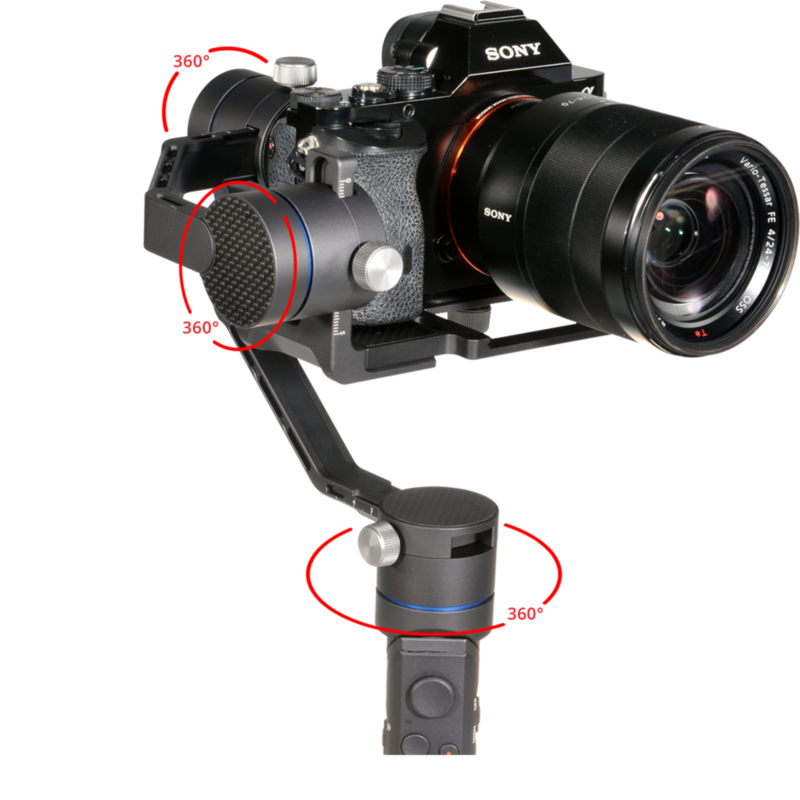 Other gimbal stabilizers only allow for upright holding, the Benro R1 features both Upright and Carry modes. Upright Mode is suitable for high and medium angle filming while Carry Mode is best for low angle filming. Combining these options gives you all the flexibility to tell your story in the most cinematic way. By turning the button on the handle, you can quickly convert your R1 from Upright (high angle) to Carry (low angle) mode. This puts less strain on your wrist when tracking low moving objects and delivers incredible results. The ergonomic, silicon grip provides added comfort at all times. Provides smooth camera movements towards the direction you’re aiming. Use this mode when circling around a subject or when making several dynamic camera movements while following a subject. Keeps the camera locked on a subject while moving the gimbal. This mode replicates movements similar to those of a jib or slider. By using the directional button in conjunction with these modes, you can flawlessly control your movements. The threaded receiver allows for additional attachments, giving you even more flexibility with your shots. With a 12-hour battery life, the R1 is guaranteed to keep up with you during the most extensive days of shooting. With the multi-functional camera control, you can easily select and control your desired camera movements. The companion smart phone app allows you to calibrate your R1, operate it remotely, adjust parameters, update the firmware, create a panorama or beautiful time-lapse with dynamic motion. For advanced camera control you can directly operate the photo shutter/focus, video record, and zoom for Sony and Panasonic cameras making filming more convenient. The underside of the Benro R1 handle has a ¼”-20 threaded hole for mounting the stabilizer to a tripod. This allows you to connect the camera at a particular spot while still using the various modes such as Pan track or Lock mode. Keep your production value high while traveling light. Collapsible handle makes it perfect for traveling. The included carrying case allows you to retain your individual axis positions saving you setup time at your next location.